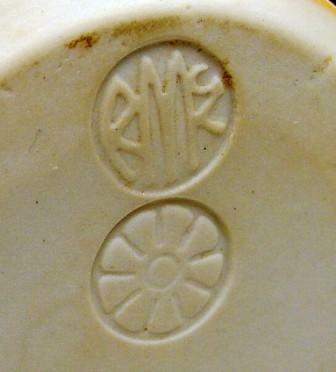 Types of Work: functional; wheel thrown with occasional use of slab building, press moulding and drain casting. Much of the following page content comes from an interview I conducted with Ruth Gowdy McKinley in her home in Mississauga, on December 8th, 1980, shortly before her passing. I’ll let her own words speak for herself in much of the article. There are a few names in Canadian ceramics that when spoken are said with respect, almost reverence. Ruth Gowdy McKinley is one of those names. 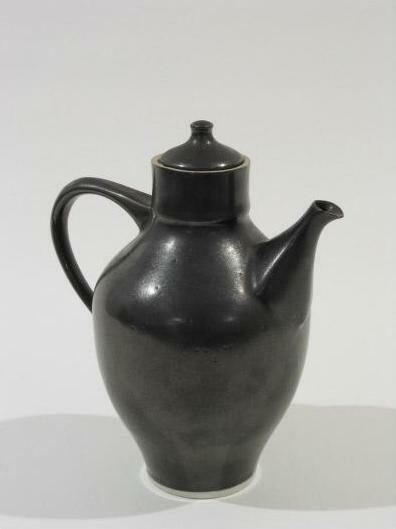 Not bad for a potter who produced teapots, cups vases and a myriad of other functional ware. People still talk of her process, her forms, her glazes and most of all her approach to the medium and its many steps. When I think of McKinley I think of artistic discipline and focus, a confident assessment of who she was and what she wanted. Ruth Gowdy McKinley. Teapot. 1955. 19.1 x 15.2 x 10.2 cm. Porcelain, black glaze. Gardiner Museum. Promised Gift from the Raphael Yu Collection. The date indicates a work from her student years at Alfred. From 1955-1966 the real world involved setting up studios and travelling for many years. 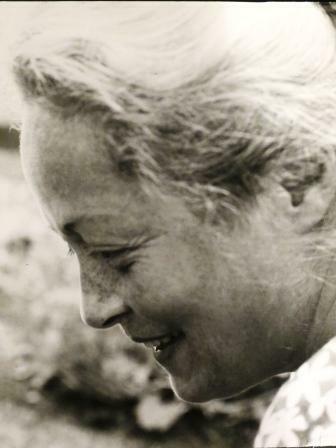 There was the Ossipee Pottery in New Hampshire where she did much brushwork and majolica, making plates and casseroles, jiggering, throwing and casting; setting up a studio in Wayland, New York; work as a news reader for the Finnish News Agency (her husband, Donald, won a Fulbright Grant to study furniture design in Finland. Unfortunately, under Finnish law, Ruth was not allowed to practice her pottery. They did however, visit individual potters’ studios and the Arabia pottery); and as a Craft Fair Manager for the Summer Craft Fair in Ithaca New York. This variety of experiences hides the discipline and focus of her personality and work. She was a woman of definite beliefs and opinions. For example, although she met Bernard Leach it was more his and Hamada’s philosophy she liked than their works.1. 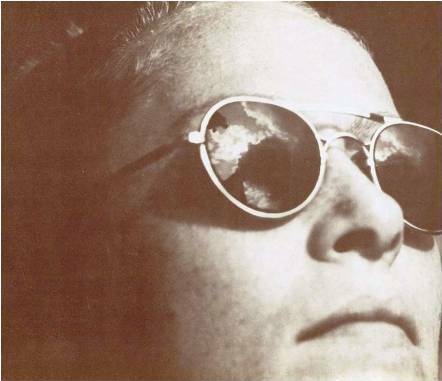 The Kiln at Sheridan CollegeShe herself came at the end of October 1967. Next year during Easter break she brought the rest of her raw materials from her New York state studio. The first Sheridan studio was a farmhouse, Pinecrest, on campus. It was later moved to the new studio in 1971. From that time on she was to establish herself as a Canadian icon in the ceramic world, teaching, mentoring, jurying, exhibiting, writing and of course producing. Such was her renown she was elected to the Royal Canadian Academy of Arts in 1967, the first time a potter was elected to the organization. 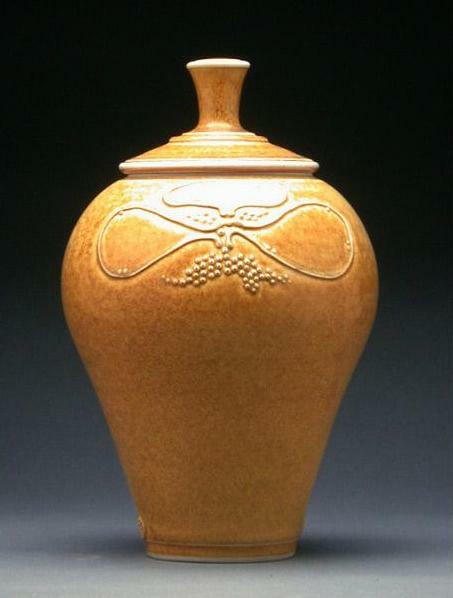 She was a go-to artist much respected in the ceramic and craft world. Her passion for the making and firing process shows her likes and dislikes in the whole process. – she sold mostly from her studio, partly through open houses, and craft sales at the school, Sheridan College. She occasionally sold from exhibitions. Sadly, her career was short. 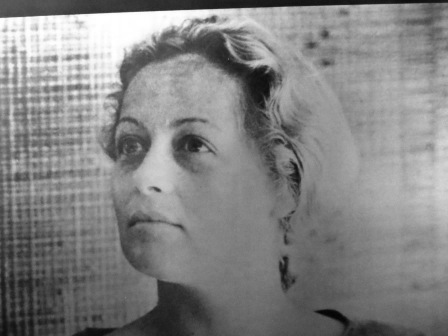 She died, at the age of fifty, in 1981. 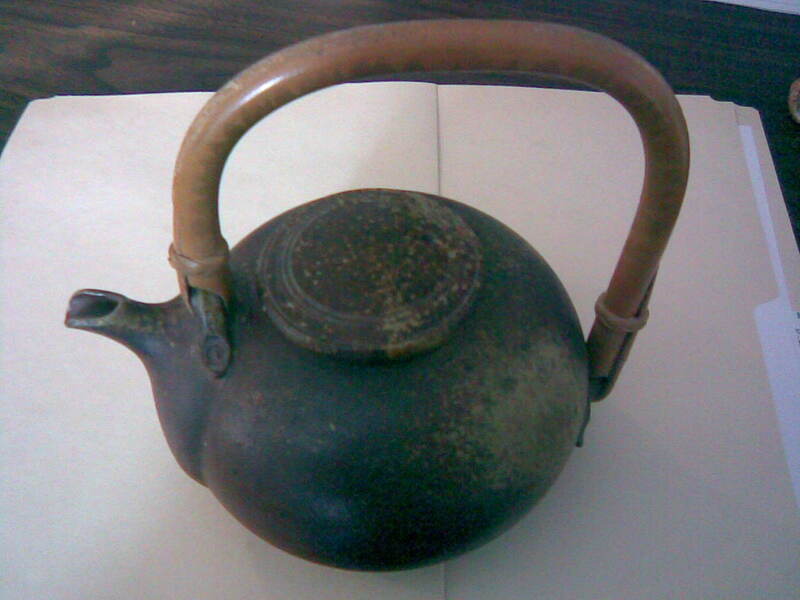 She also worked in series such as spouts and handles foot rings or lids, or for a week or two would only make teapots. Her mind would totally focus on one function. She was a true believer in foot rings to finish a work. Her techniques were varied: drain-casting such things as wine decanters and small tea bowls. Sometimes bowls were thrown off the hump. “Just look inside the pot to see if it’s thrown or cast.” Her work seldom gets over 15” unless it was special order. Ruth Gowdy McKinley. Covered Jar. c.1979. 25.5 x 15.5 cm. Porcelain, wood-fired. Gardiner Museum. Gift of Aaron Milrad in memory of Bella and Joseph Milrad. Ruth had done some decoration and carving in the last few years. The decorations she liked were applied sprigs of clay as part of the construction, and organic joints to avoid harsh joints. It would be an understatement to say that Ruth liked to be involved in all stages of the firing. “I am not interested in how fast I can reach temperature. If rapid firing were my goal wood surely would not be my choice of fuel. It is the oneness with the kiln — the exhilaration — the awe of firing. Both of these emotions are heightened by the physical effort involved. 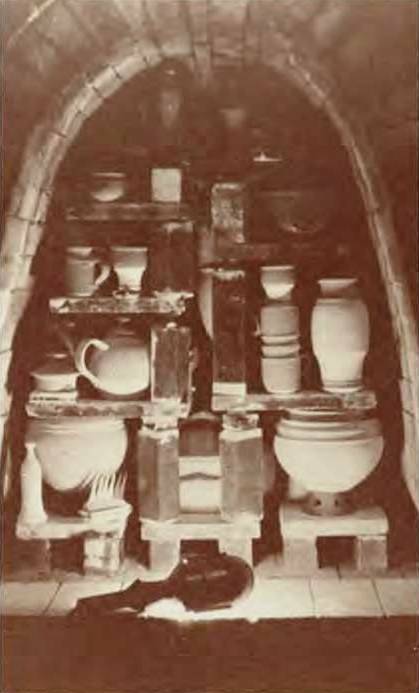 A further example of her methodical discipline and control was in unstacking the kiln. Whereas other artists cannot wait to check and critique still hot pots fresh from the firing Ruth’s approach was measured. If there are collectors or collections that have images of Ruth Gowdy McKinley’s works they would like to share please contact me. The Canadian Clay and Glass Gallery, Waterloo, Ontario. The Gallery has the most extensive archival collection on McKinley, her life and work. The Burlington Art Centre, Burlington, Ontario. The Gardiner Museum, Toronto Ontario. The Canadian Museum of Civilization, Gatineau, Quebec. 1. Morrison, Barry. Personal interview with Ruth Gowdy McKinley, Mississauga, Ontario, December 8, 1980. 2. Resume of Ruth Gowdy McKinley, Ontario Craft Council Archives. 3. 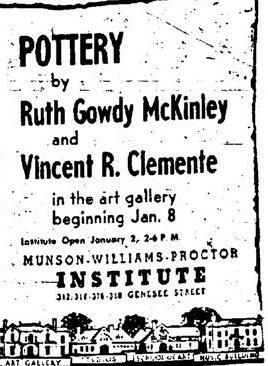 Mckinley, Ruth Gowdy. Mark of this Fire. Studio Potter, Winter 74/75. Published the next year also in Tactile. There might have been a film made of the same title, “The Mark of This Fire” (30 min. Colour) to be released in 1979 but I could not find a reference to this. 4. Baele, Nancy. Paula Murray. Honoring the Natural World. Ceramics monthly May 2006 pp. 54-57. This is a great over all view of a ceramics Legend! Ruth was a fabulous person who made the best functional pots in the world. She had an incredible influence on my work and myself. She is truly missed and loved!